Connor was born on March 28, 1990 and the moment he came into this world, he had the world by its tail. He was willing to try anything that looked dangerous. He was one of those kids you definitely had to keep an eye on because he thought it might be fun to build a skate board ramp that catapulted the skateboarder into the pool – after all it might be fun to combine skateboarding and swimming! We always joked that he was an adrenaline junkie. We moved to Buffalo, N.Y. when Connor was 6 and that’s when he started playing hockey. As with everything he did, he played with heart and passion which ultimately led to his playing in the Quebec Pee-Wee World Championship.. He had two rules he played by: (1) don’t touch my goalie and (2) make every single body check one to be remembered! He was no stranger to the penalty box! When we returned to Pittsburgh, Connor played for the Amateur Pens AAA Tier 1 team and the North Pittsburgh Wildcats. The times we spent on the road traveling game to game and tournament to tournament were times filled with laughter. They were times that provide us with some of our fondest memories of him. In high school he played for both Seneca and Ambridge High Schools where he continued to build his reputation as a great skater and an opponent to be reckoned with anytime he was on the ice. His many awards and trophies will always remind us of what a great athlete he was. After graduating from High School, Connor worked in construction. He worked for Ionadi Construction pouring concrete. He took pride in the jobs he worked on and worked hard to learn his trade. We were proud of the hardworking young man he was becoming. His future was bright and all of his life was ahead of him. Connor didn’t leave sports behind when he graduated from high school – he was far too competitive for that. He pursued other sports – just as physically demanding as hockey – and of course with just the right amount of crazy risk to suit him. He was a Golden Glove boxer, fought in the Mixed Martial Arts cage, and took up bull riding at the local ranch. Of them all, he seemed to like bull riding the most – he always wore a big smile when he was competing at the rodeo. He couldn’t wait for those weekends when he could put on cowboy boots and spurs, shove his hat down on his head, hold on with all his strength and say: “Turn ‘im lose.” We will cherish the memories of watching him hit the ground after each ride and jump up with a grin – or grimace – depending on the fall! Describing what Connor did for fun doesn’t really say all there is to say about who he was. He was fiercely loyal and protective. He had no tolerance for bullies and would come to the defense of those he thought were its victims. He was generous – the kind of guy that would give you the shirt off his back and expect nothing in return. And he was both fun and funny. He made all of us laugh and made family gatherings and parties a hoot. 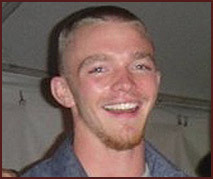 On April 10, 2011, just 13 days after his 21st birthday, Connor was killed in a car crash on I79 at the Wexford & 910 exit just north of Pittsburgh, PA. There is cross there to mark the spot where this wonderfully full-of-life young man lost his life. We don’t just miss him – we ache over the loss of him. Our commitment to his memory is to make a difference through his foundation. The Connor Johnson Foundation will focus on raising awareness for inattentive and distracted driving. We will do all we can to stop these avoidable crashes because he would want us to and because he would be proud that we did it in his memory.